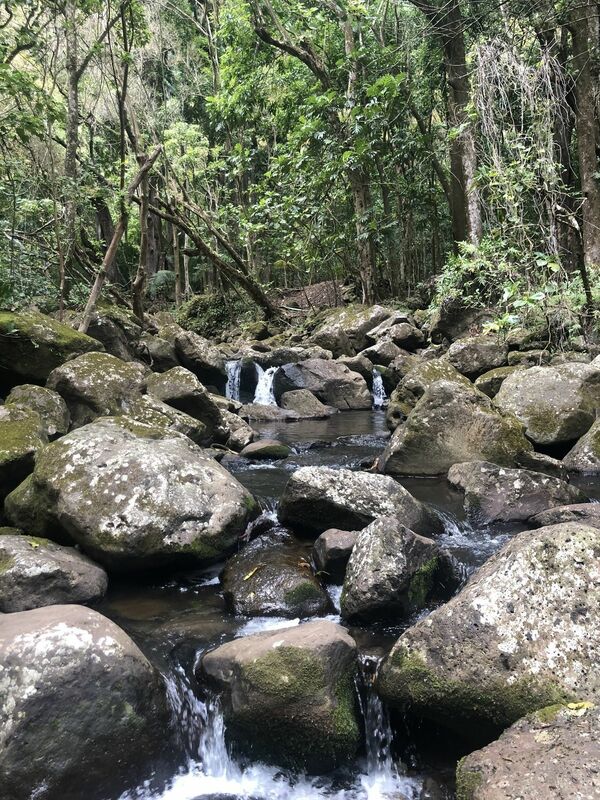 Explore the most popular Hiking trails in Molokai with hand-curated trail maps and driving directions as well as detailed reviews and photos from hikers, campers and nature lovers like you. Typically accessed from Homelani Cemetery, but entrance gate to Bog Trail is approx 12 miles in from Cemetery. The Bog Trail is almost exactly 1.0mi in length and ends in a look-out. 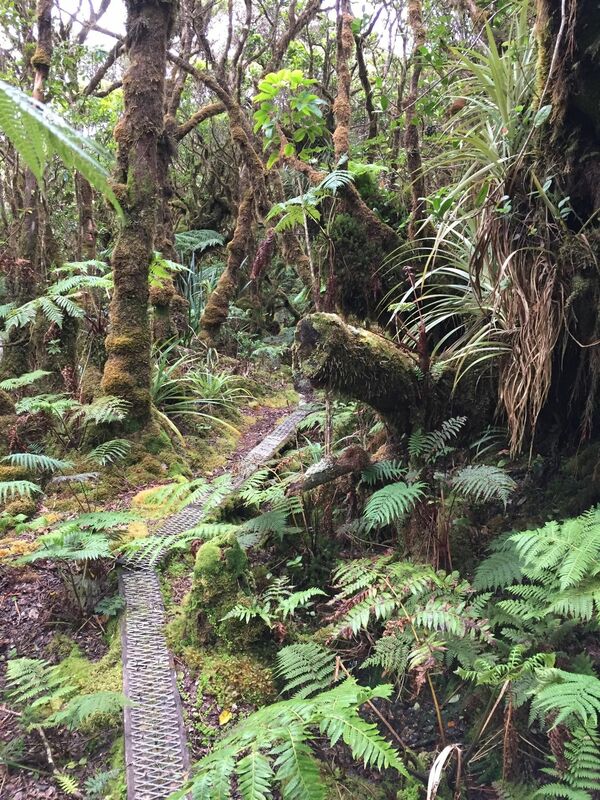 The Bog Trail winds through a misty and moisture-laden swamp, which is a feast of interesting multiple types of ferns (eg fiddle ferns) and entirely moss-clad trees/branches. 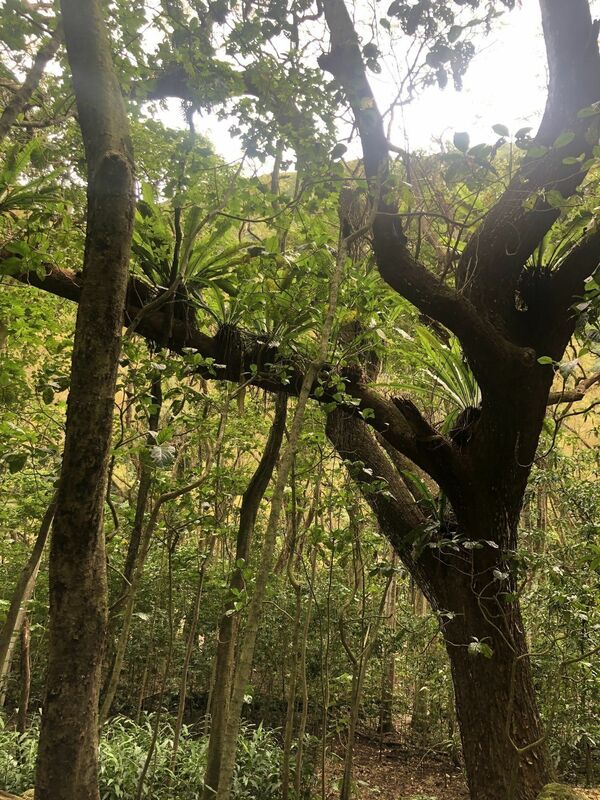 Multiple Oha’i trees are found on the trail. In middle of mile-long trail is an open plateau with different plant life. Entire path is planked, but wet (expect to get shoewear soaked). Its certainly an interesting walk, worth the trip up. 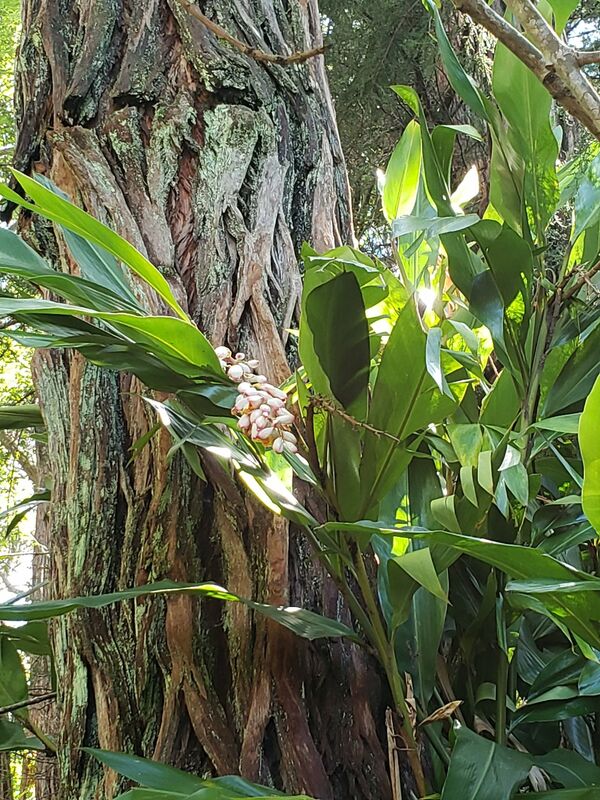 If you like the flora and experience, you’ll like Akala’i Swamp Trail on Kauai, which is the highest swamp in the US, and has similarities. Homelani Cemetery, passed the Waikolu Lookout, entered the Kamakou Preserve but had to turn around at 11mi in due to hydration concerns. 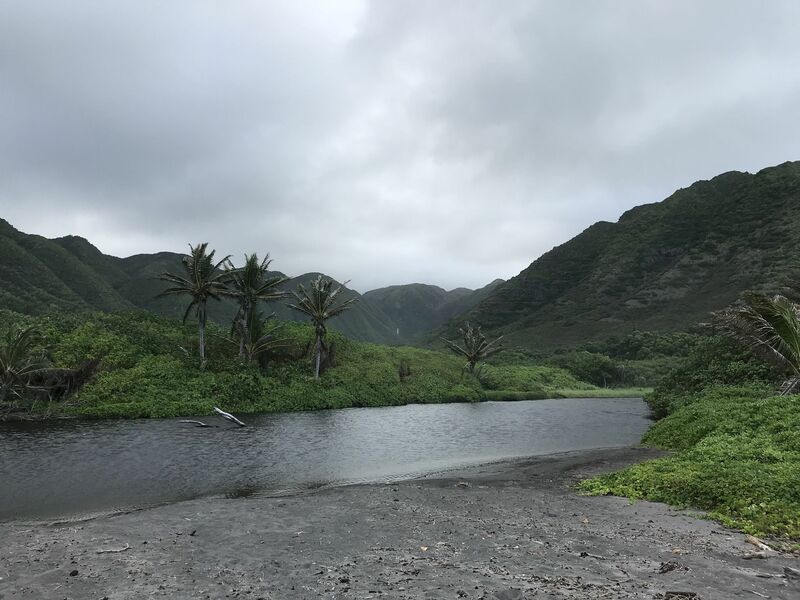 On advice from a local resident was told to consider a trailhead on Rt 450 across from One Ali’i Park II , just east of Kaunekakai. There is a gate there, but you can climb thru the pedestrian entry on left of gate. This entire access to the Bog Trail measured 7.2mi each direction, so my R/T was 16.4mi when including the Bog Trail itself ... a very significant reduction in distance to the Bog Trail gate. However, the first 3.0mi up from the trailhead had average grade of 11%, which I walked 2/3s of. After entering treeline, you’ll hike/run thru conifer forest, staying on main forest trail (avoid smaller offshoots) and pass a DLNR weather station on your right. 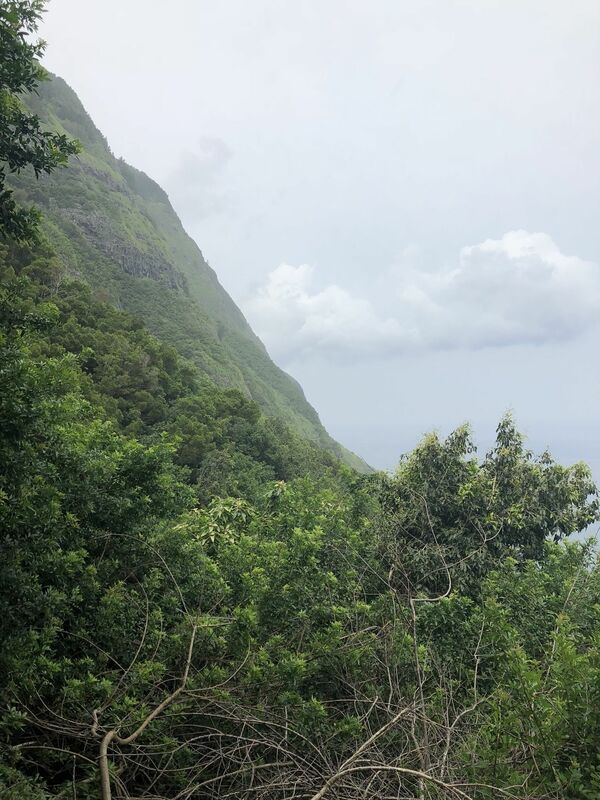 Then, trail which has been heading north suddenly veers east and eventually joins the Molekai (actually Kamakou) Preserve Road onto which you turn right. 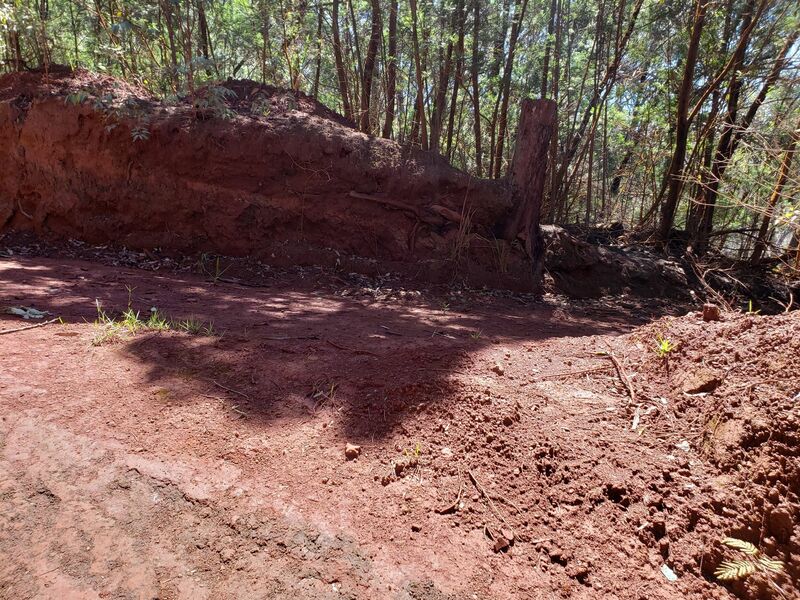 Be aware that this alternative access to the Bog Trail is a strenuous one, taking 6;00hrs R/T with significant parts of it at running pace, that tested my endurance as much as the 22mi run from the Homelani Cemetery the week before. The fact that there is often drizzle, mist, and cool temps allow you to control sweating, fluid loss at/near Bog Trail. Do take windbreaker. 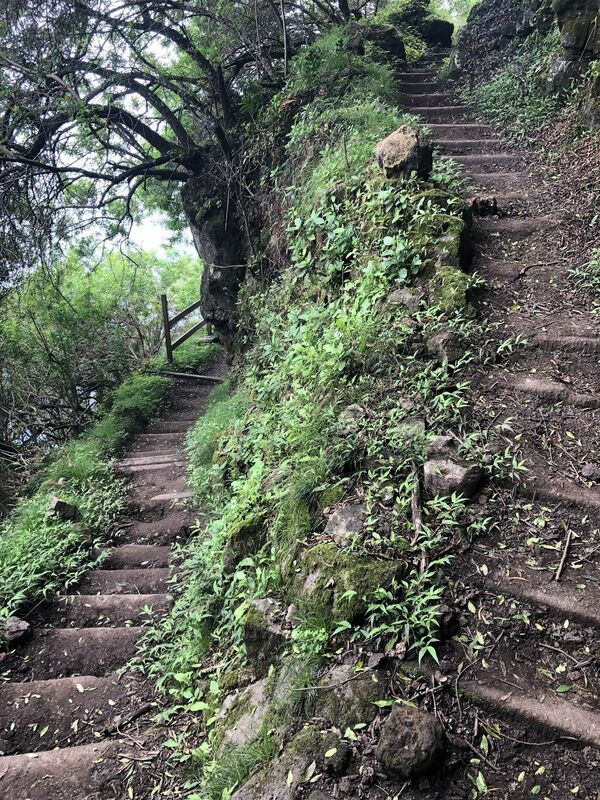 The run back is entirely runnable but steep, so if knees are an issue you may have to walk parts. 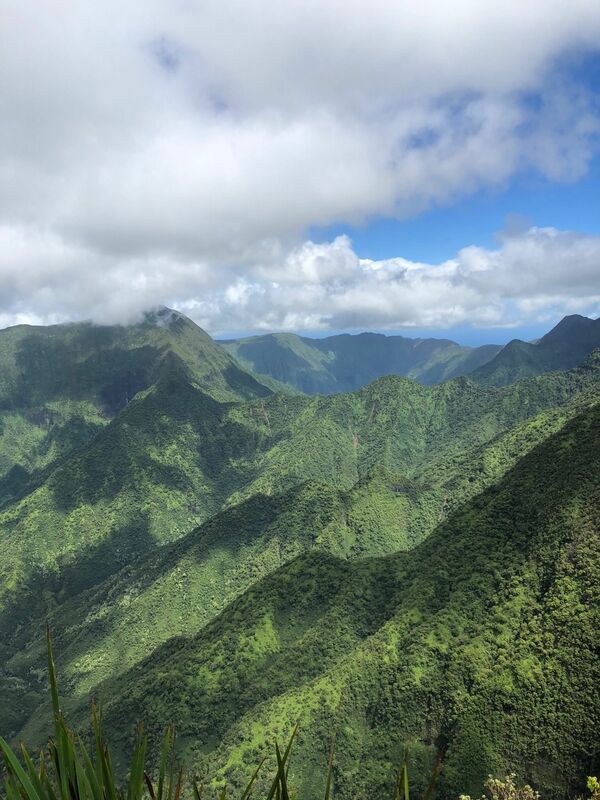 A concern with this trail is its remoteness, which is actually part of its allure, limiting the number of us who can enjoy its beauty and novelty. Closed because of landslide for about two months ... no apparent hurry to fix trail. 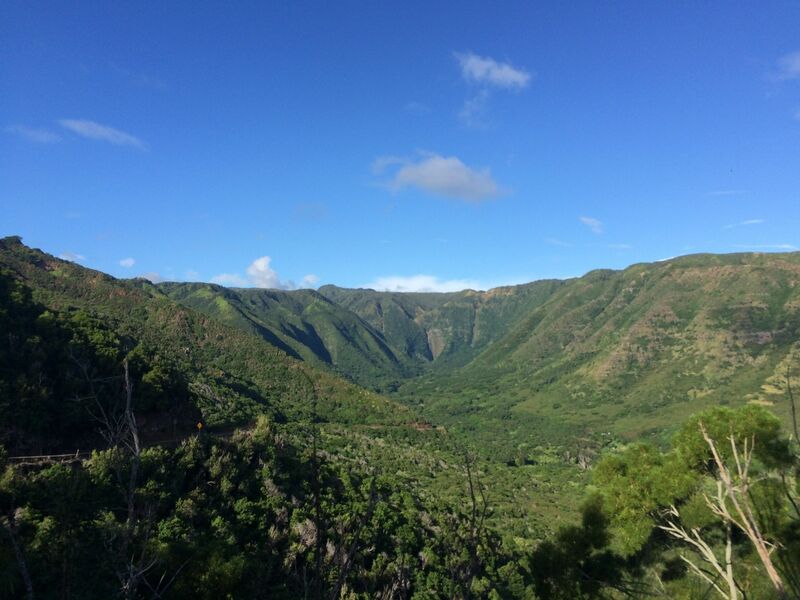 Land owned by RW Meyer, a former Molokai sugar cane producer. Tour operators impacted. 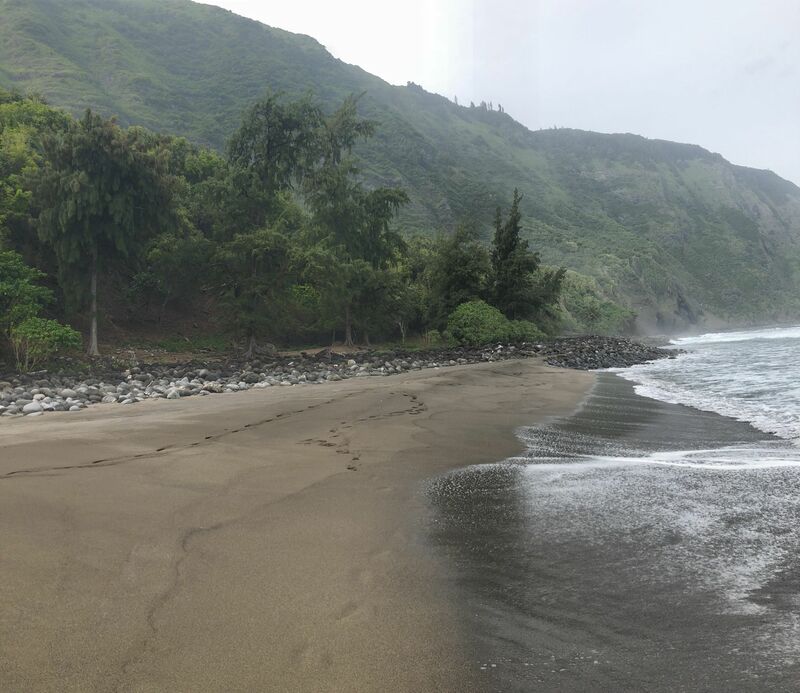 Trail only way to access Kalaupapa peninsula unless you fly or boat in. No roads available because of topographic obstacles in setting high cliffs. 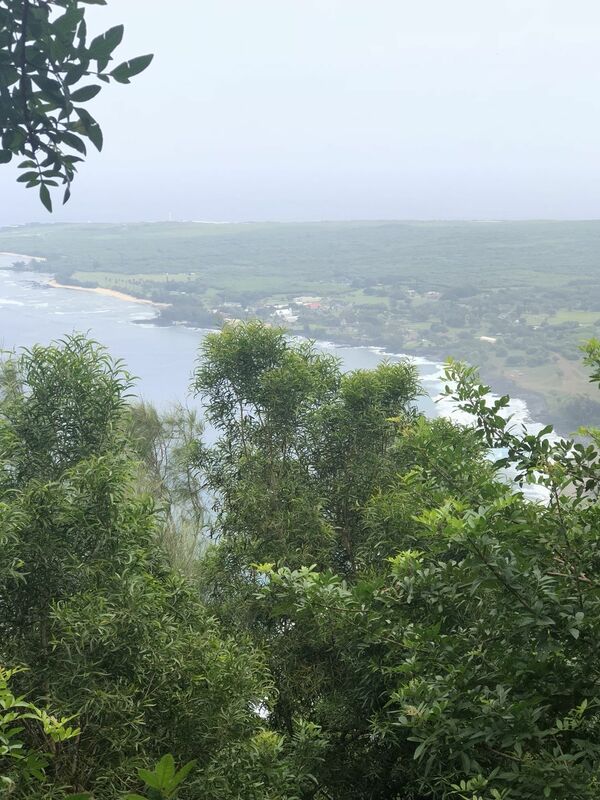 I’ve been visiting several of Hawai’i’s islands this trip, trying to find the best endurance trail run on each island. 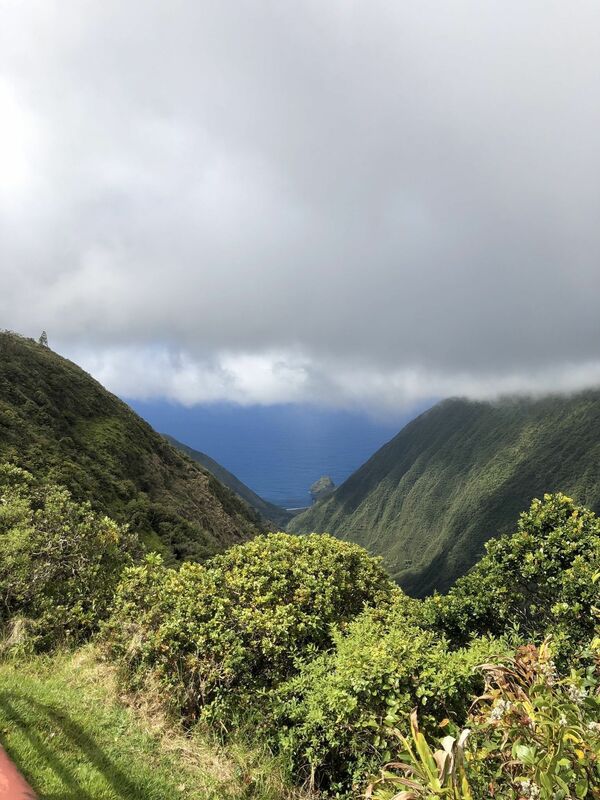 Moloka’i has less trail running options than Kauai and Maui. 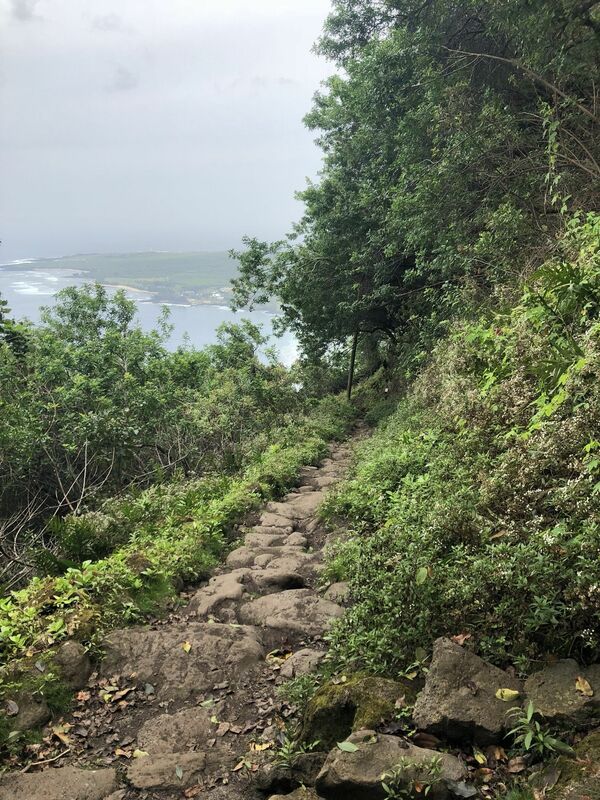 IMO, this “trail” is the best Moloka’i outing for a trail runner. 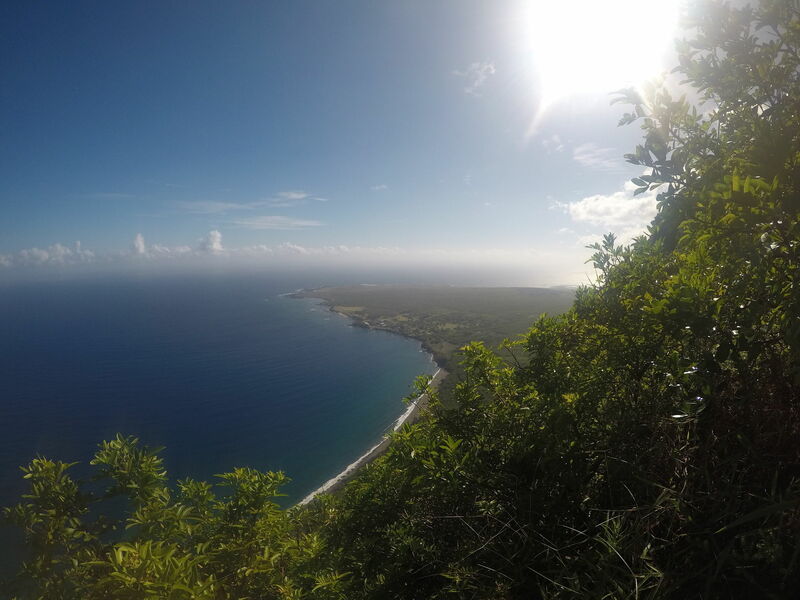 up to the Wailoku Lookout at 9.8mi on my Garmin wristwatch GPS readout. No part of the upward ascent was too technical to prevent running. Although the beginning of the trail was sunny and dry, the Lookout was cool with drizzle and a breeze ... this helped me conserve fluid in my four Amphipod bottles. 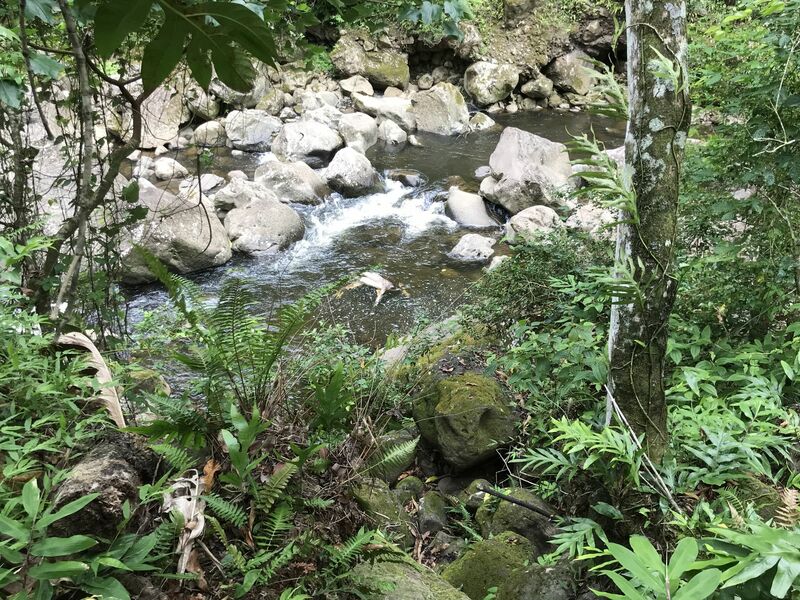 Next, pending time/hydration/endurance DO continue into the Kamakou Preserve, where the real interesting flora begins: giant ferns, unusual fiddle ferns, Ti plants amidst a very lush jungle setting. The trail head for the Preserve is on road at the Lookout. 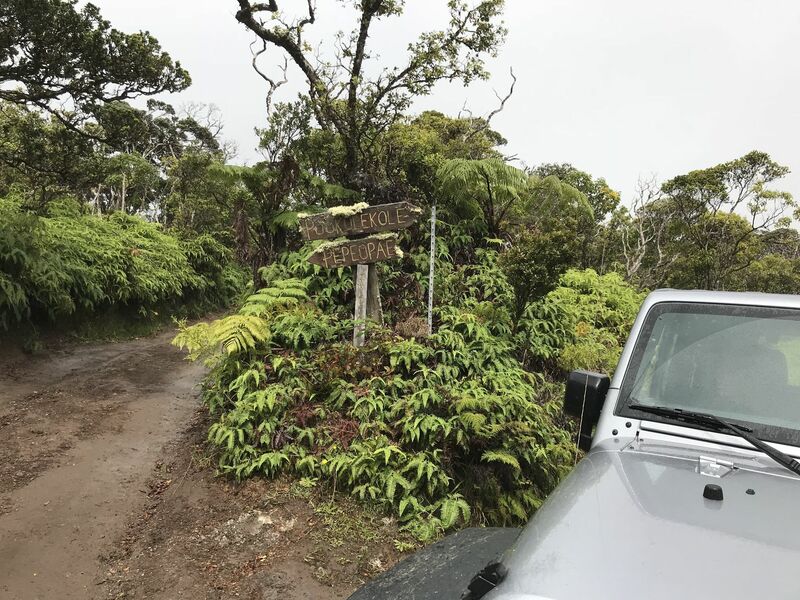 The Jeep road becomes pretty tough here, even for a Jeep, and it may be better part of valor leaving the 4-wheel drive vehicle at the Lookout and running/hiking the remaining few miles in. The Preserve gets somewhat slippery and a little technical at times, so walking much of the Preserve is not bad idea. 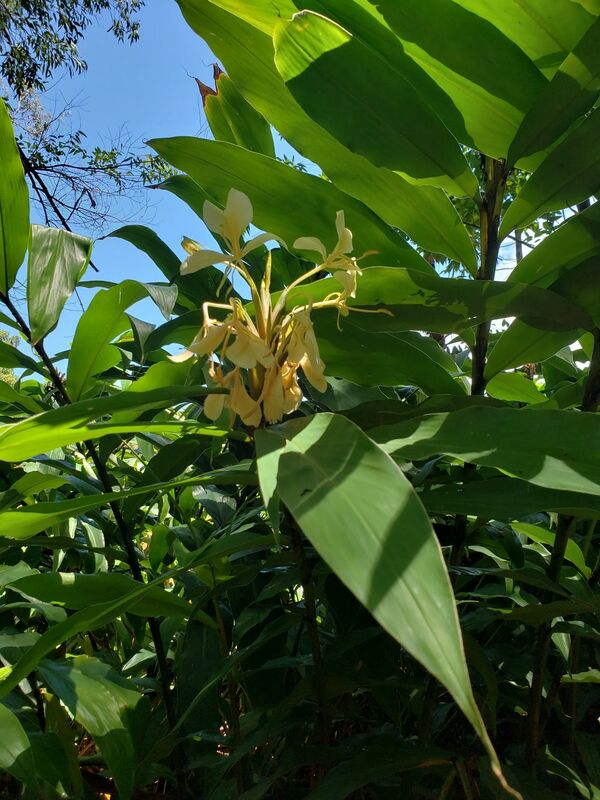 I lasted for 1.2mi into the Kamakou Preserve, at which point the flora was getting progressively interesting. I was disappointed not to make it to the Bog walk at the end, but my hydration supply would make that risky, knowing that the last 5 miles on way back down would be sunny/warm. The 11.0mi back down was 100% runnable, certainly from the Lookout down to the Cemetery. Ascent read 3654ft on my Garmin 920XT at the end. Elapsed time: 5:29hours. Pace: 14:58min/mi. Time/pace included picture taking and occasional gawking at flora/birds. 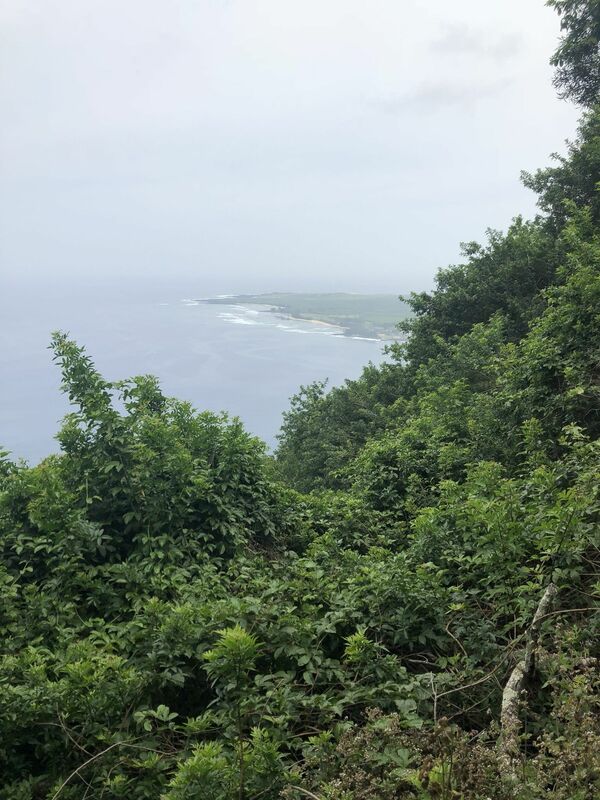 I aim to come back, perhaps with 4-wheeler to the Lookout, then to do the last few miles into the Kamakou Preserve to include the Bog trail at end. To do it all with a run from bottom would be close to 30miles R/T, formidable with ascent considered ... but NOT undoable. 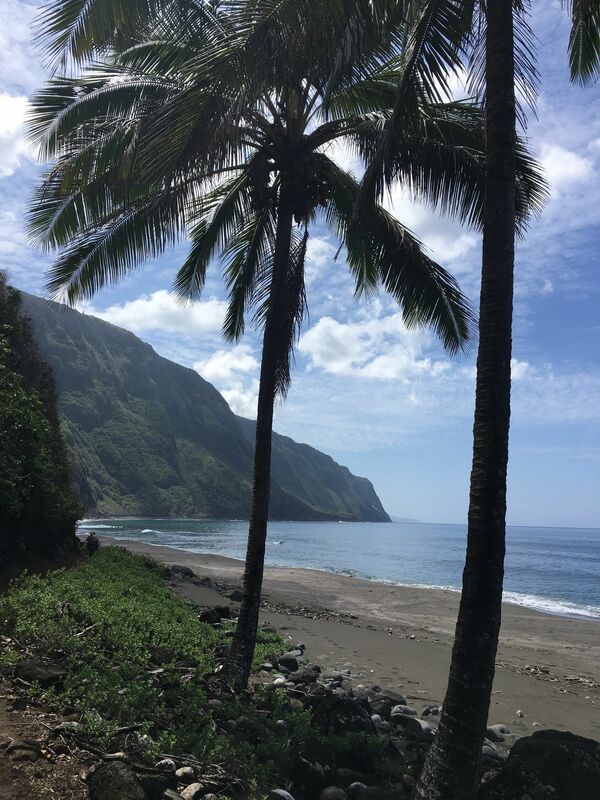 Best endurance “trail” run on Moloka’i. Incredible sea cliffs and view. Make sure you take your time. It was a bit hard on my knees with all of the steps but some ice and Advil sorted it with some rest. 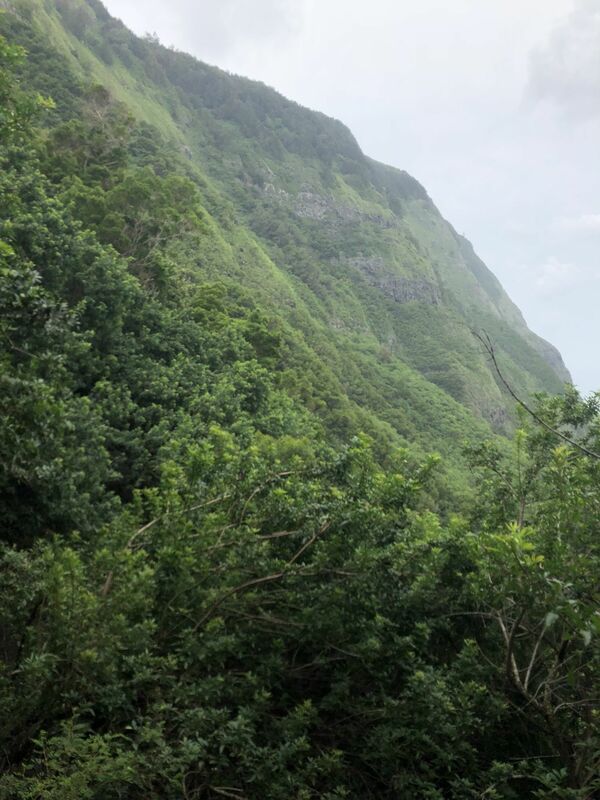 I think the hike down was hard on the knees (2hrs photos and slow pace)and preferred the hike back up even if it was more tiring (1.5 hrs slow and steady with no breaks). the 26 switch backs are not gradual decline /inclines. know your abilities. great views and better for photo ops to hike but be in shape or ready for a good workout. At first glance, I was surprised at the rating (hard). 1800 vertical and a 6.4 mile roundtrip sounded more in the moderate range. But by the time we went down and back up, I was thoroughly challenged. It was gratifying and worth it though. after the hike! But anyone in average to above fitness can do it. I was glad to have packed an extra (dry!) shirt. 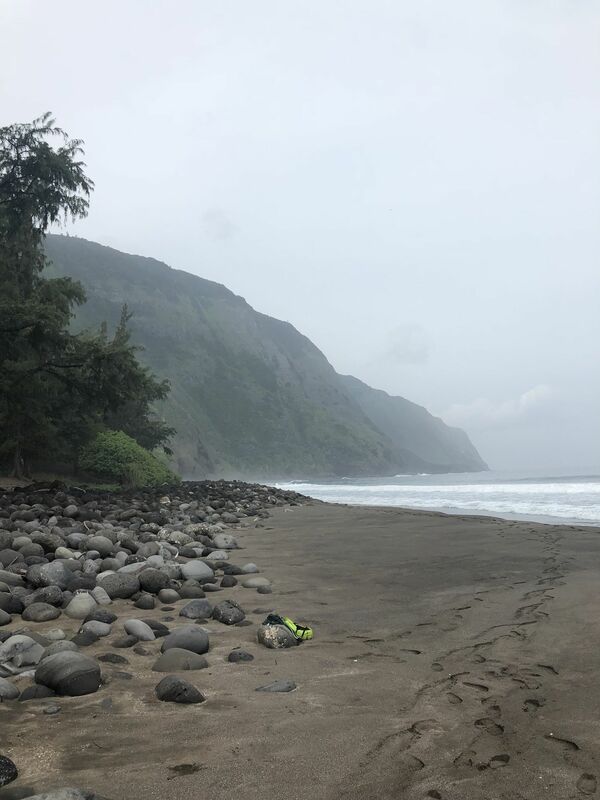 Between tropical humidity and moisture drifting in from the ocean in the last mile, I think you should probable come to this trail assuming muddy conditions. And then we had a cloudburst. In our early 50s and I’m a below knee amputee so it took us about 1:45 down and 2:15 up. You can’t access the trail without walking on someone’s land. I do NOT recommend trying to explore and find a way around this. I DO recommend going through the proper channels to gain access to the trail (Google it). It is a beautiful hike to a valley rich in history. One of the land owners is more than willing to educate and accompany. 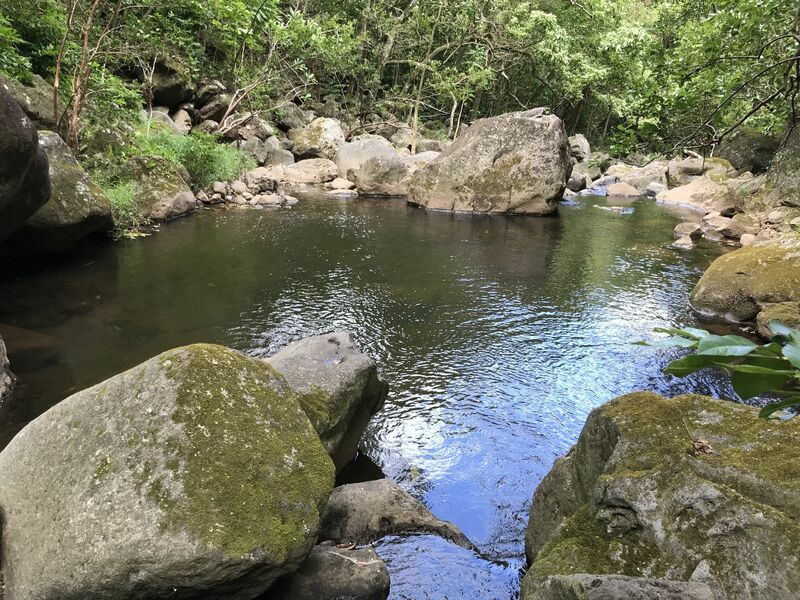 Support the Solatorios and their mission to preserve the culture and history of the valley and this private, family hana(work) trail which includes a spectacular waterfall and pool. 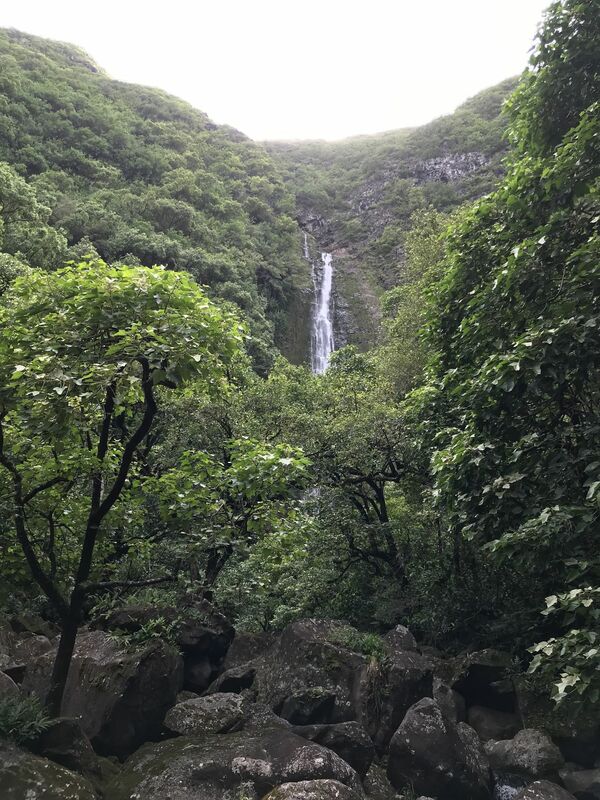 I have hiked to falls on other Hawaiian islands and this one is worth the effort to go experience. Just be respectful- we are not entitled to walk this trail. Respect that this is a historic site that is preserved by families that still live off the water, fruit, and animals of the valley. Beautiful, memorable hike! This is private property. Be respectful. I've also done it w/ a guide - the best way to get pieces of the culture, the history. Also completed it with my cousin, but he knows the land owners and alerts them to our presence. Might be worth a guide to get you in and out - there is no clear trail head in and the trail disappears on the way out - yes there are dogs and shacks and it is easy to become disoriented - not sure if a guide would take you to the giant fall - it appears that most avoid the bouldering and stay to the left on the way up - if you follow the river and are willing to take a chance, it's worth the risk - most magnificent waterfall outside of Switzerland! Amazing. Not technically difficult, but the steps are a killer back up. You'll need a four wheel drive - the distance from the cemetery is approximately 2 miles and just a dirt road - look out for the bull - from the trail head to the top is exactly 7 miles - it's 3 miles from the picnic overlook to the end of the trail - there are several different paths - stay left and you can see the moss covered trees and Jurassic era looking foliage - stay right and you can run through the lava tunnel - easy hike, and depending on the time of year a wacky drive. Great hike with breathtaking views and history. Can be slick in certain spots. Recommend trail running shoes. 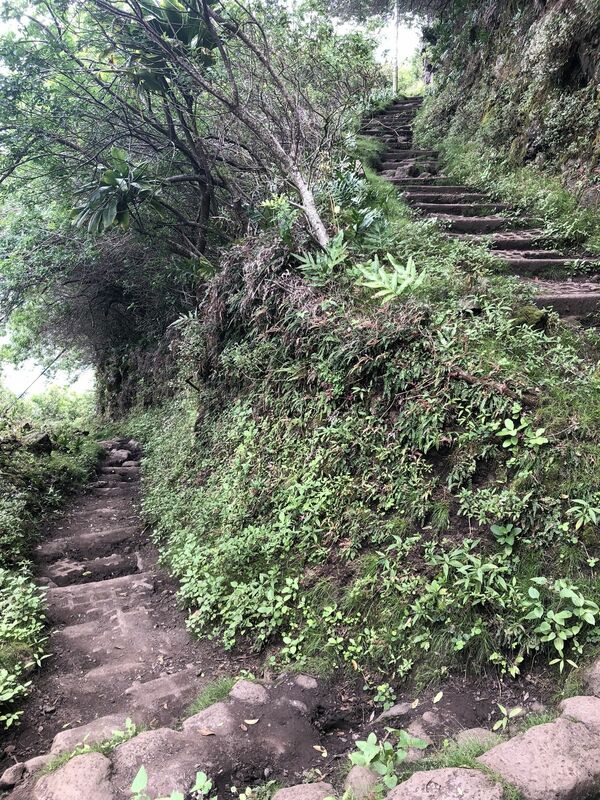 Hiking boots would likely be overkill as the path is generally well maintained and has a lot of cinder block steps. 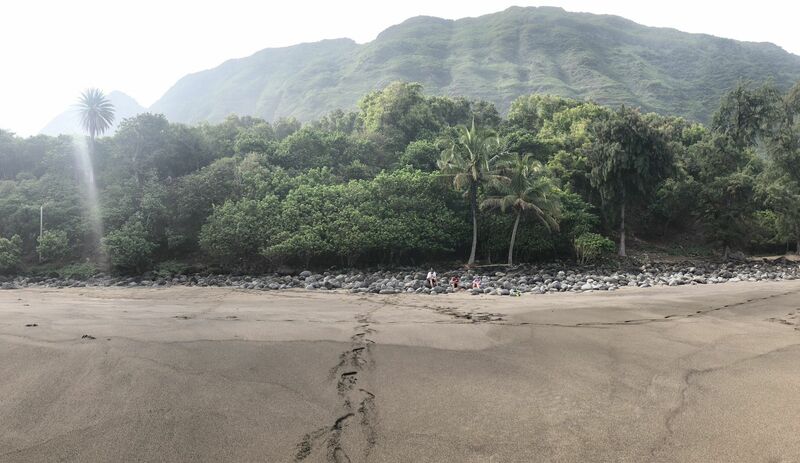 This is the closest to Jurassic Park you will ever feel. SO worth it. Nice hike, fantastic views and fascinating history. Must have permit. 60’s couple hiked in and out 2 hours each way. Only 6 hikers on trail. 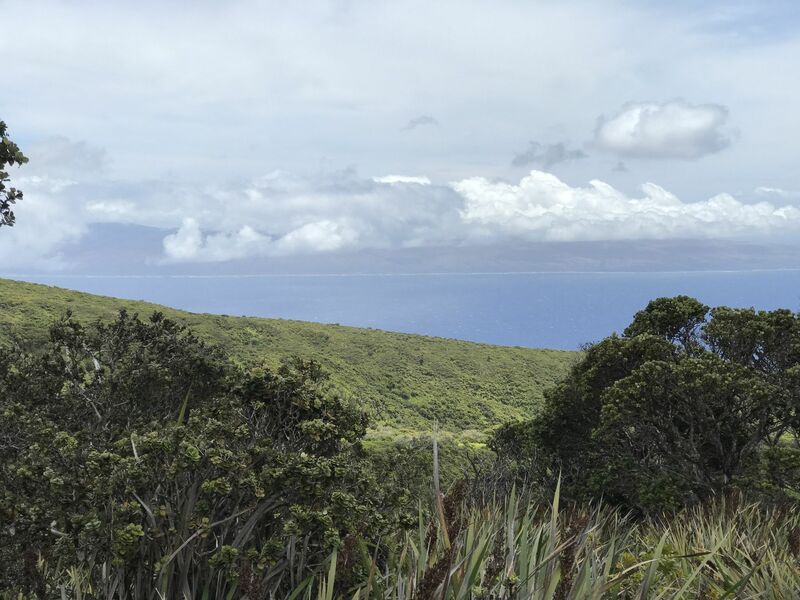 Great day.activity on Molokai. You can do this trail without a tour guide, but respect the land and people around you! Great waterfall at the end, not the best swimming hole water I’ve seen. 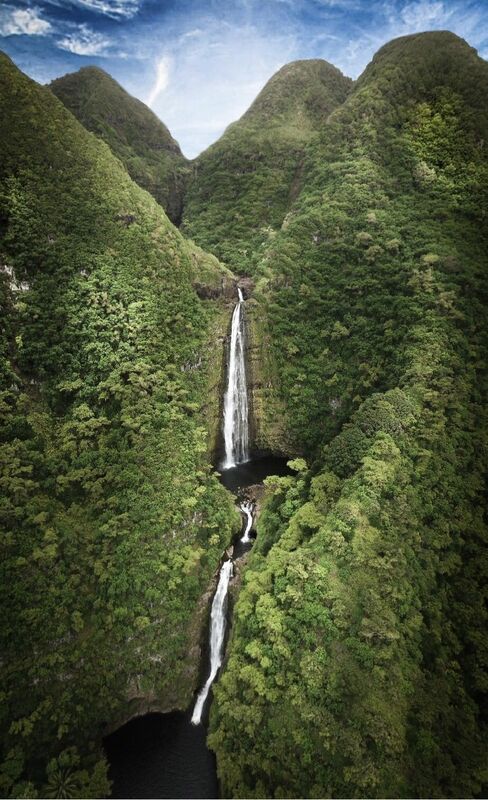 Definitely do if you are visiting Molokai! This is not a trail! 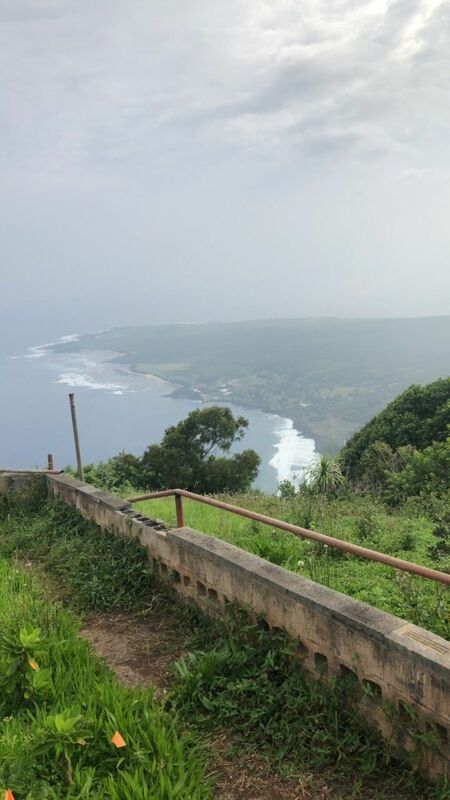 This is a jeep road to Waikolu Overlook, which some people choose to hike instead of drive. The road to the overlook is 10 miles precisely from the cemetery. 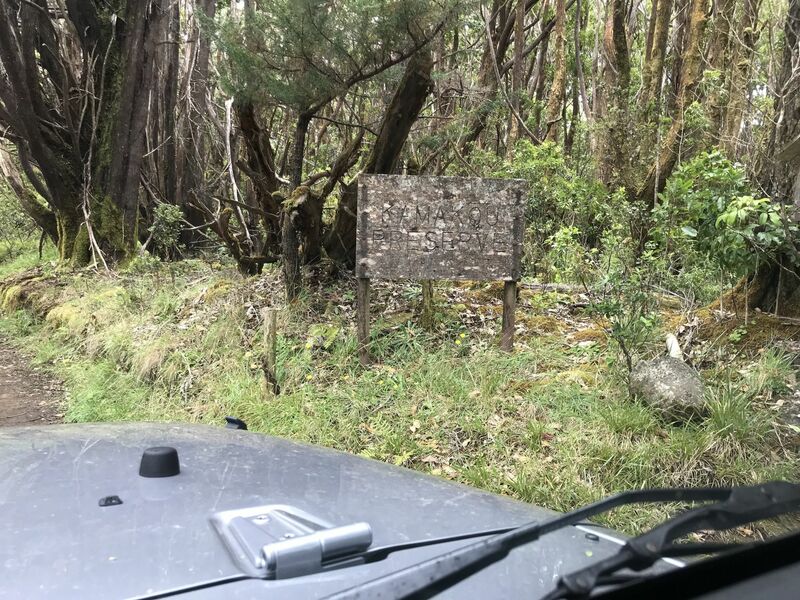 If you have 4WD, experience driving on unimproved mountain/forest roads, and TAKE YOUR TIME, then this road should not be problematic for you. It was very dry when we went, but if it's muddy I can see it being much more of a PITA. We went slowly (like, it took us over an hour to get to the overlook) and had no problems, but we're also very comfortable on roads like this. It's really not as bad as people say it is. 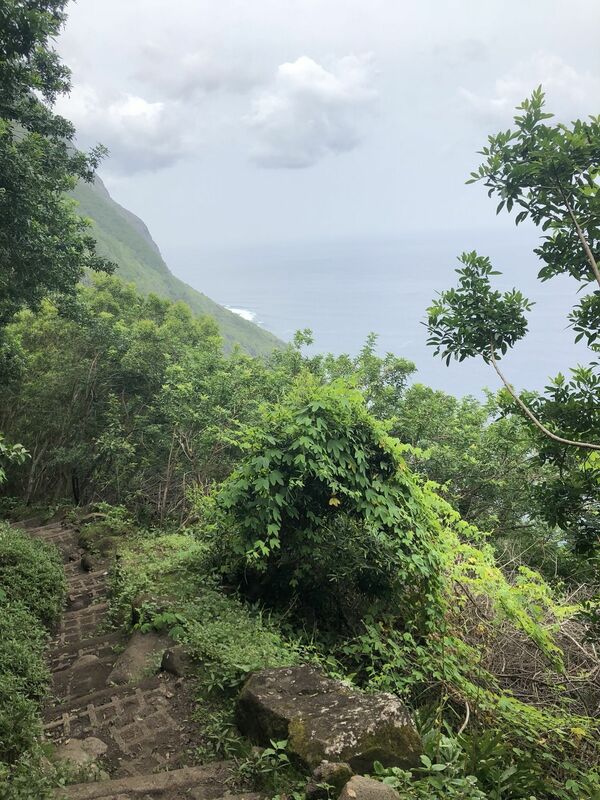 Once you reach Wailoku Overlook, however, the road continues and gets much more rock-crawly. You can continue down this road for 2-3 miles, in a 4WD vehicle with a confident but careful driver, or by foot. 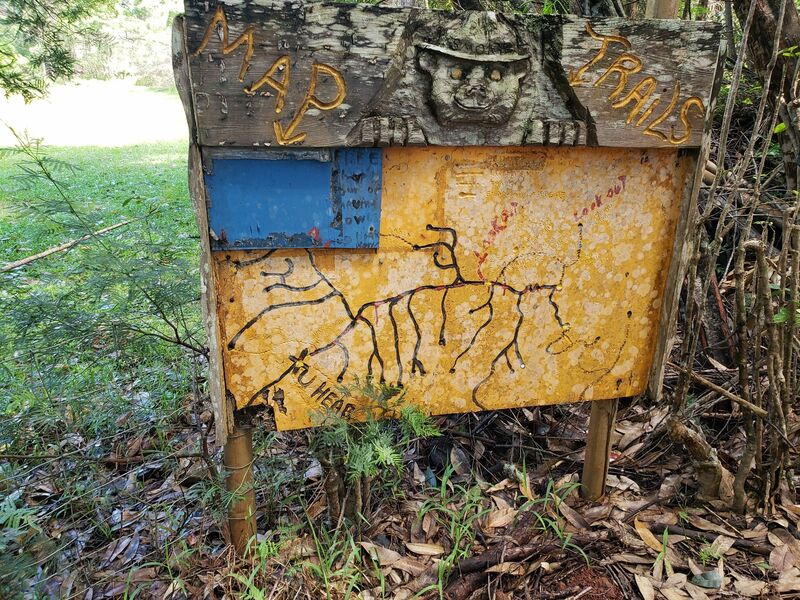 There are at least three trailheads you can access from this road, the last of which is the Pepe'opae Bog Trail, at the very end of the road. It is an out and back trail with significant elevation gain/loss, and is maybe 1.5 mile each way (definitely more than 1 mile!). 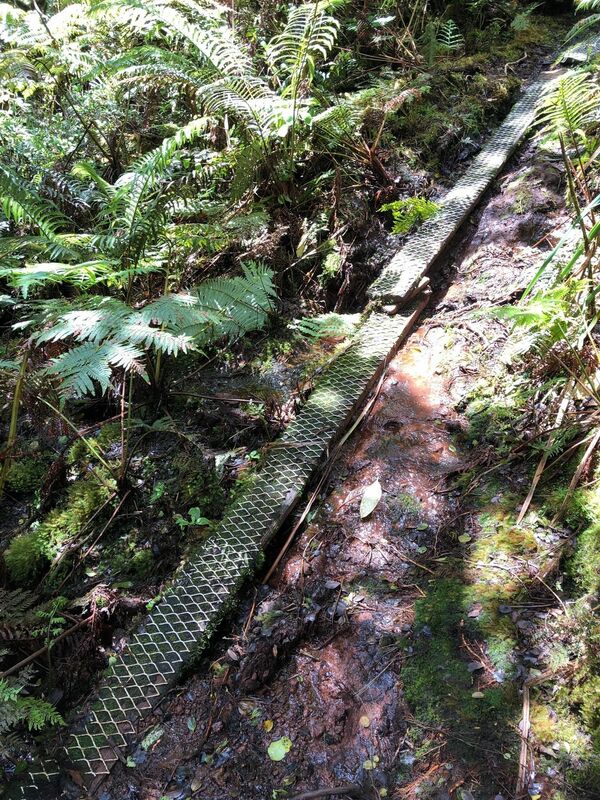 The trail has a "boardwalk", which consists of, at most, two 2x4s (but usually just one) covered with metal grating. The boardwalk is not well-maintained, being significantly overgrown, rotted out, submerged, or just completely non-existent in some places. The first 1/4 mile or so of the trail is not so bad, but it quickly becomes rather treacherous. I highly recommend wearing actual hiking shoes for this one, specifically boots because it would be very easy to twist or break an ankle on this trail if you misstep. There are a lot of very steep, slippery ups and downs with hardly any boardwalk and an open drop on the other side. There are also a lot of very wet board bridges. 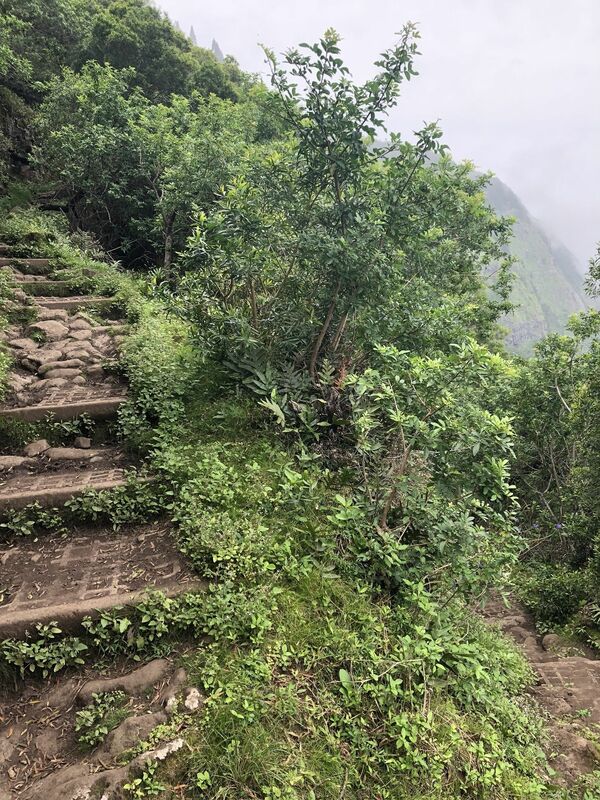 It's very difficult to sightsee or birdwatch on this trail because you have to be rather diligent about watching your step. Please only look around/snap photos when you are at a better spot in the trail, and TAKE YOUR TIME! This trail took us a couple of hours. At the end of the trail is a sweeping view of the Pelekunu Valley. There is an opening in the trail before the end with this view as well. We stopped and rested here before turning back, but the trail continued down back into the cliffside jungle (I'm not sure how much further it was to the actual end). You can see and hear the native apapane flying around here. There are lots of bugs, being a bog/rainforest, so bug spray is a good idea if you are sensitive. I wore shorts and a tank top and I was fine, even walking through the overgrowth in some places, but some people might prefer pants or long sleeves. 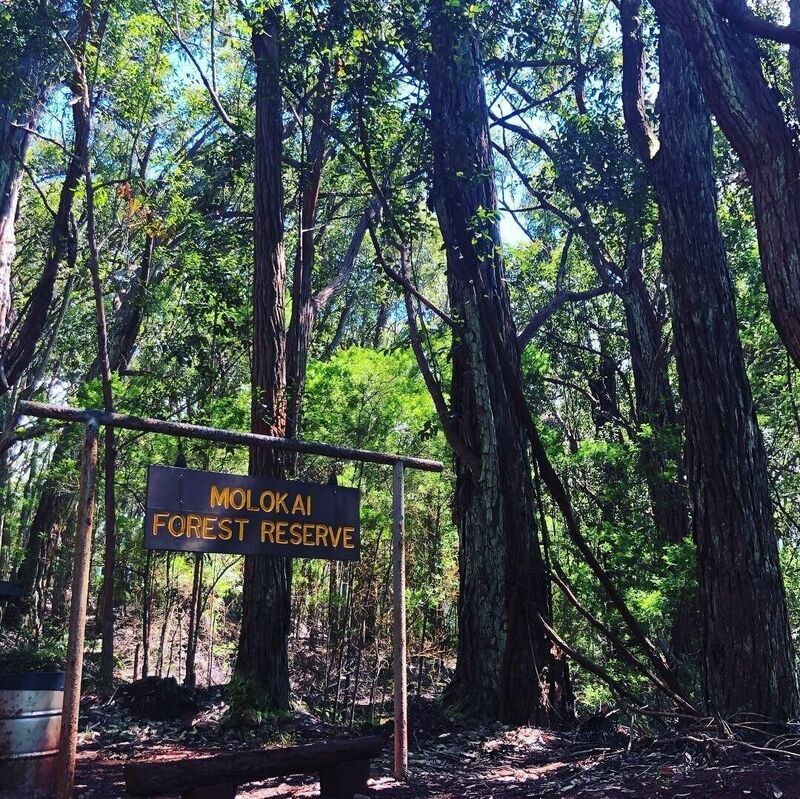 This part of the forest is the only 15% of Molokai's native rainforest left, so please do your best to stay on the trail (it's not possible in some places) and try not to disturb the wildlife. 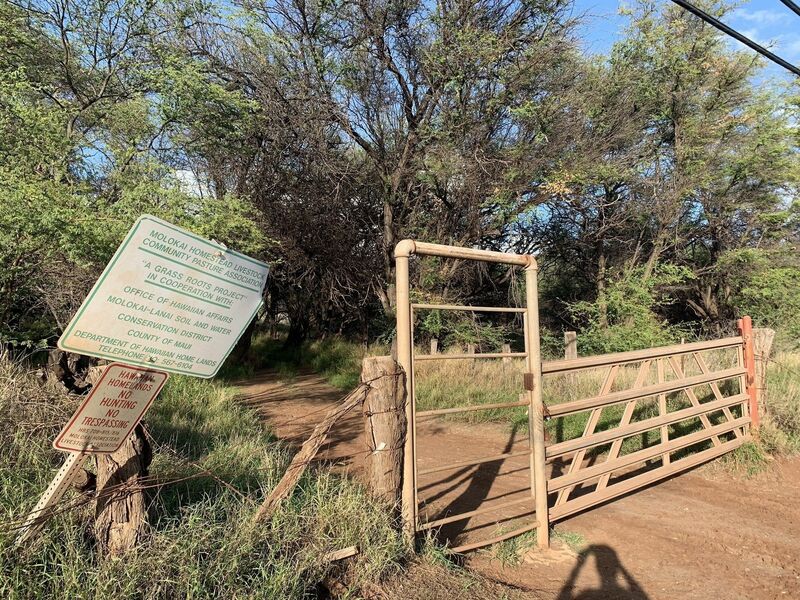 My wife and I decided that we would start the hike at the Homelani cemetery and not drive up. 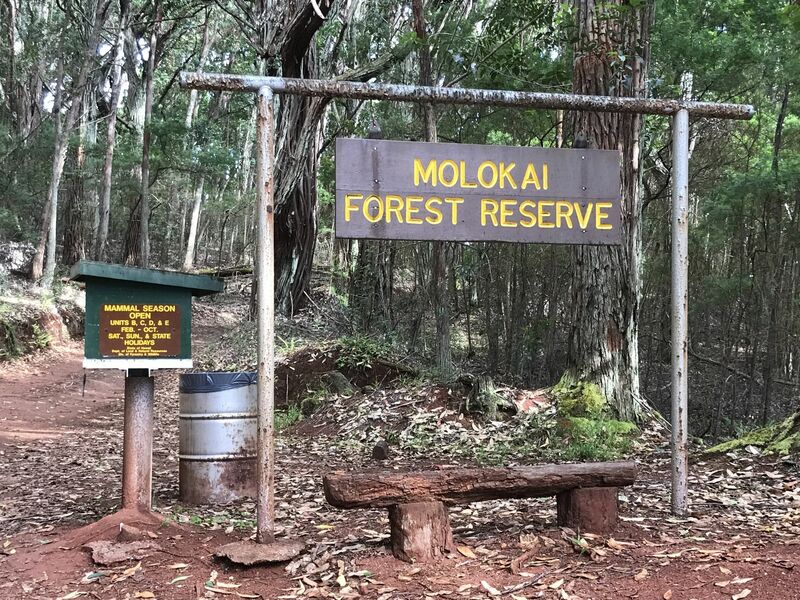 it's about 5.6 miles to the Molokai Forest Reserve. From there it was another nearly 5 miles to the overlook. it was clouded in when we got there so we continued on to the bog. Don't turn back, go all the way to the end, the view is stunning. Got back to the lookout and the clouds had blown out, so just give it time and the weather might cooperate. We only saw five other people the entire time. Round trip was just under 30 miles. Trekking poles were a huge help for the journey. You'll log around 5000' of elevation gain, and they were great going up and down. The view is great. It’s indeed muddy and slippery. Trekking poles are highly recommended if you want to save your knees and ankles for the future. We both ware hiking sandals with good soles (Keen’s), and I’m glad that I didn’t bring my heavy leather boots because it’s no need. It’s not a hard hike and it’s very manageable. We did it in late December and the trail is completely shaded, which was great. Requires permits, and so worth it. This place has amazing history, and the trail itself is gorgeous; saw goats, axis deer, and wild pigs. 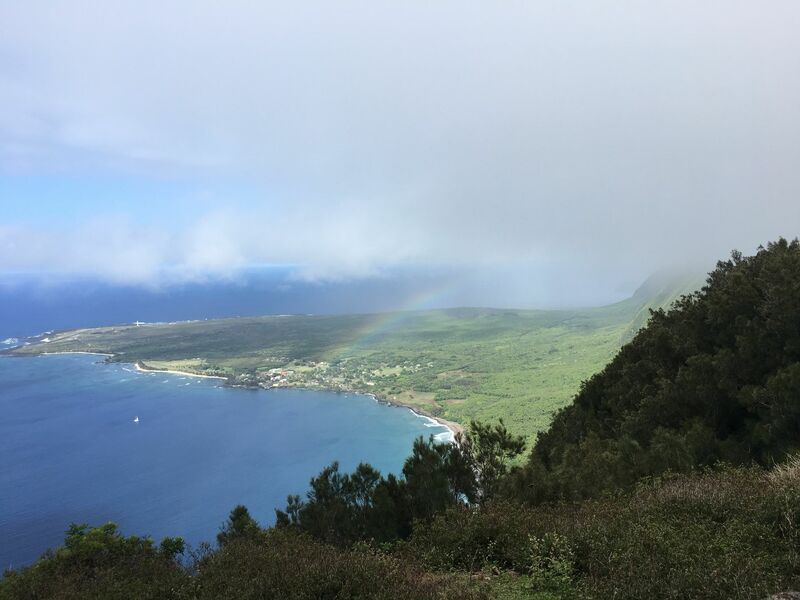 The distance from the trailhead to the Kalaupapa settlement is approx 3 miles each way. It took me 1.5 hours on the way down, and 1 hour on the way up. 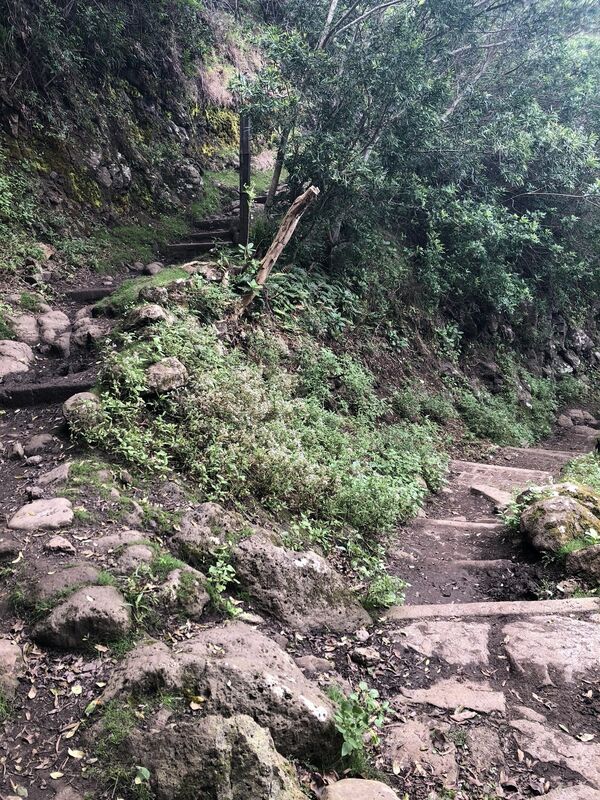 The trail has been improved recently and I thought it was pretty easy—gentle switchbacks and stairs. The only way to see the settlement is through Damien Tours. Your tour admission covers the cost of the required hiking permit. You will never actually get the physical permit, and no one will ever ask you for one despite multiple signs threatening a $500 fine. Damien will pick you up at the end of the hike at exactly 10 am to begin the tour. The tour is 4.5 hours long, and must be paid for in cash ($60). My guide was excellent and I thought it was well worth the money and time. Fact. You CAN do this hike without the tour guide. Fact. You may also get attacked by dogs. IF you decide to do it on your own, the beginning is super confusing, but the GPS from this app is spot on. 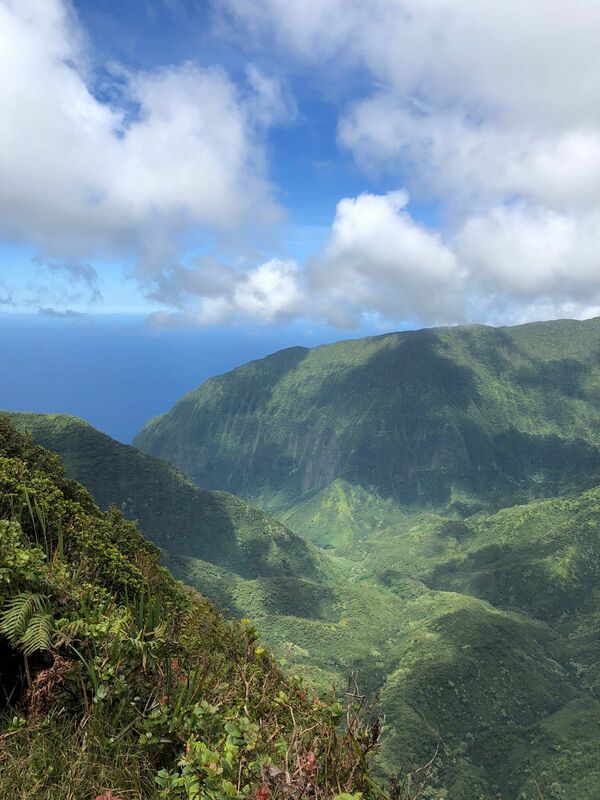 A 2fur, great guided hike with a contextual narrative discussion of the history of Molokai and particularly the trail. Then a nice hike, not too hard along a trail that is maintained until reaching the river /waterfall area. Here it's nothing but bouldering. Two river crosses earlier had this but not to the degree of the falls. Waterfall is lush and thick with cool crisp water. 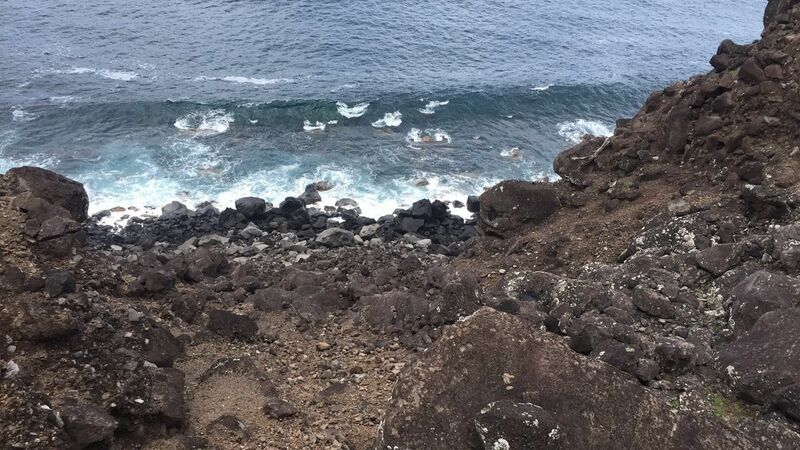 The hike should be seriously considered for those that are shakey on their footing. Make sure to check out the guided tour website since the land is private. A secluded and magical hike. 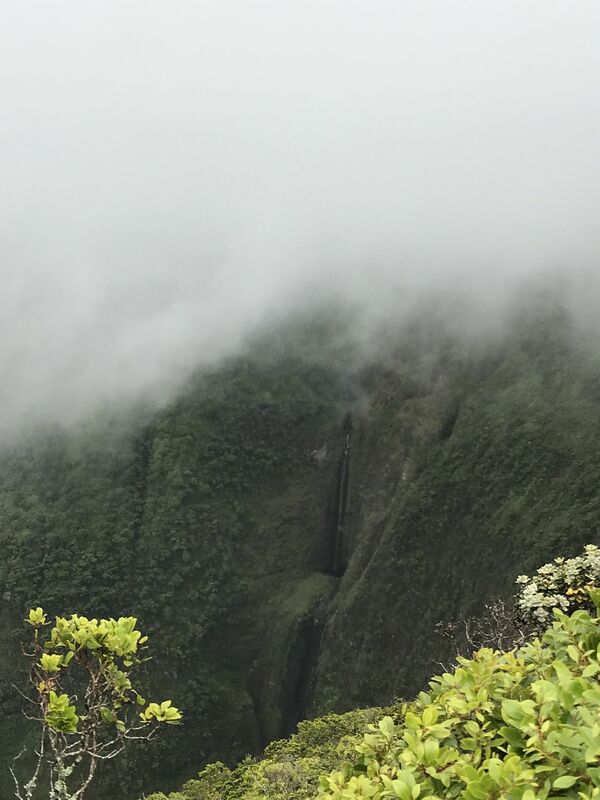 You are hiking in one of the first areas of Hawaii settled by the Polynesians. 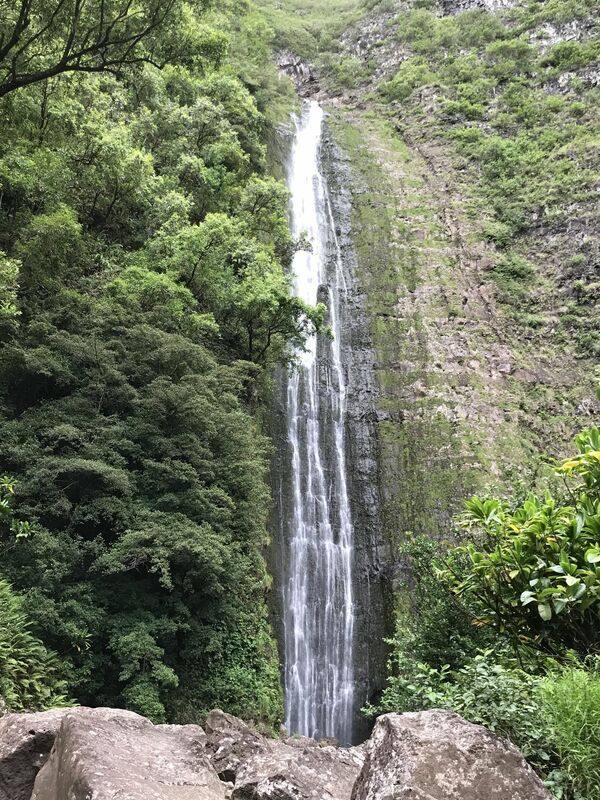 The waterfall at the end of the hike (Moa'lua Falls) is one of the prettiest I've seen in all the Hawaiian Islands. 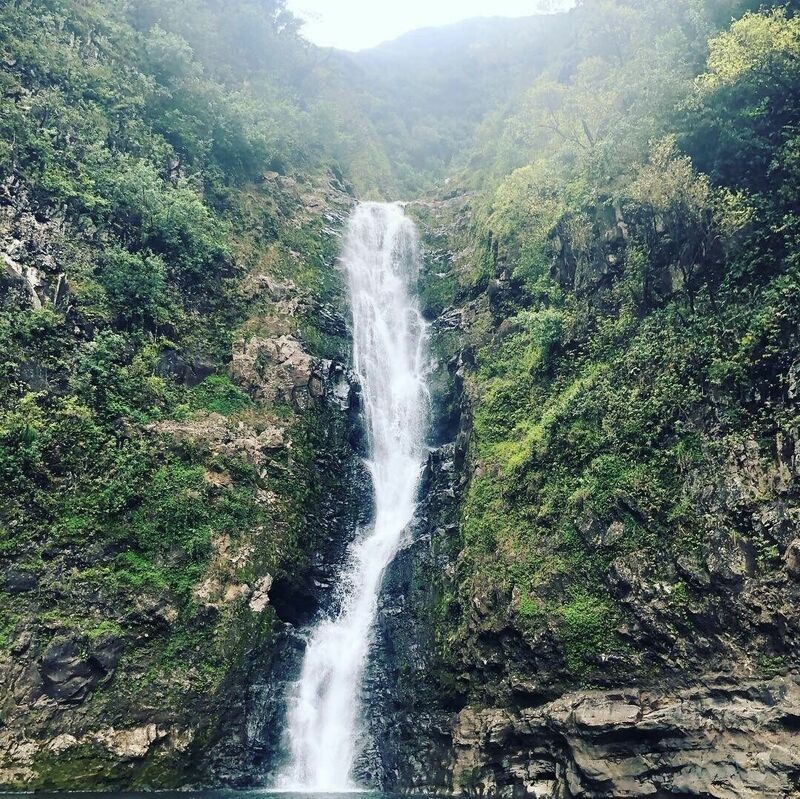 It's a tall, two-tiered waterfall with strong flow and a large swimming hole at the bottom. To hike this, you should book the cultural tour. It is on private land and I can tell you from experience the locals don't take too kindly to tourists who are not part of a tour group. Also, the falls will be a challenge to find without a guide, although I will say this GPS track is pretty spot on. 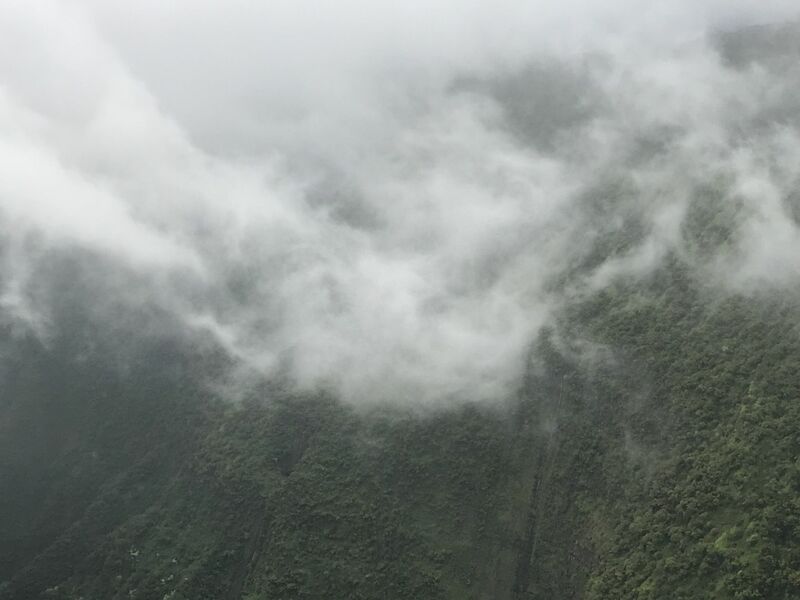 For more on my adventure here, check out my blog post! You have to book this through Damien Tours to do this hike. 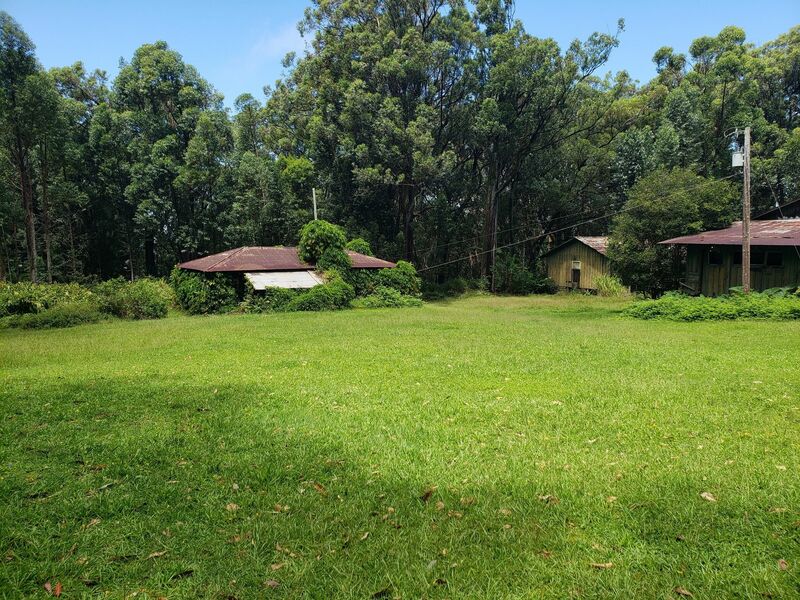 $80 gets you the permit to hike and includes the tour through Kalawao County (the preserved colony). 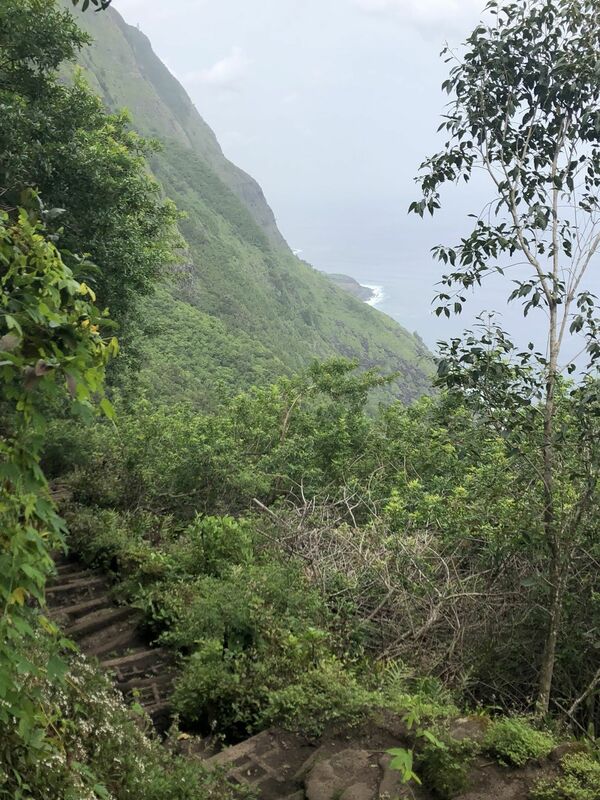 Really beautiful coastal hike through a series of switchbacks along the northern coast of Molokai. 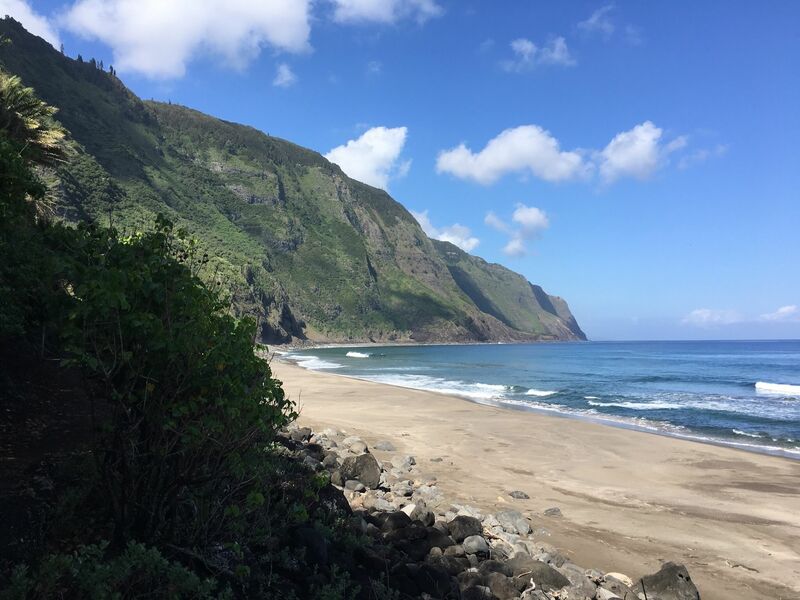 The trail ends at a secluded beach giving you a great perspective of Molokai's massive sea cliffs (largest in the world!) and the northern coast. 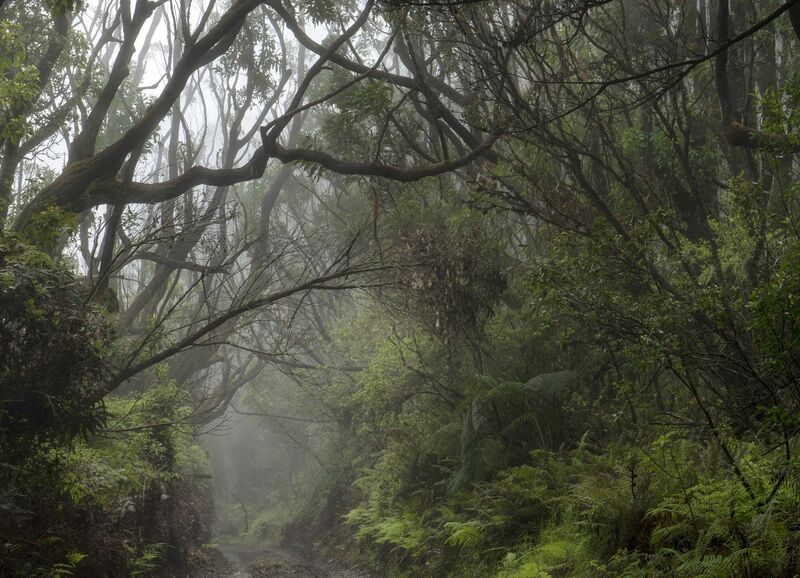 Has a similar feel to some of the Kalalau Trail in Kauai. Definitely worth the entry fee in my opinion! Beautiful and pristine.many plants unique to that area. It was challenging for a 60 year old person, but worth it. For me it's once in a life time. 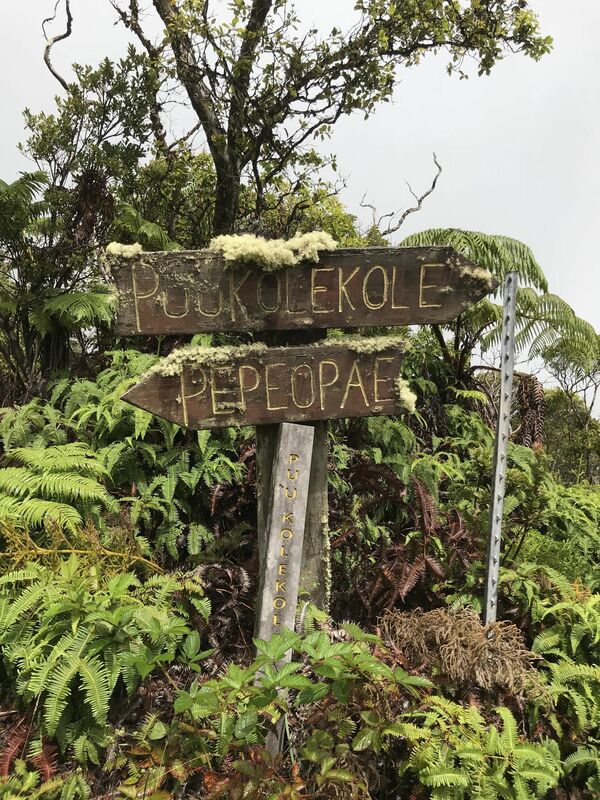 Accessible by driving up a 10 mile dirt road through central Molokai, and a 2 mile hike into the Kamakou Preserve, lies the Pepe'opae Bog Trail. Maintained by the Nature Conservatory, over 200 unique indigenous Hawaiian plants are preserved here. 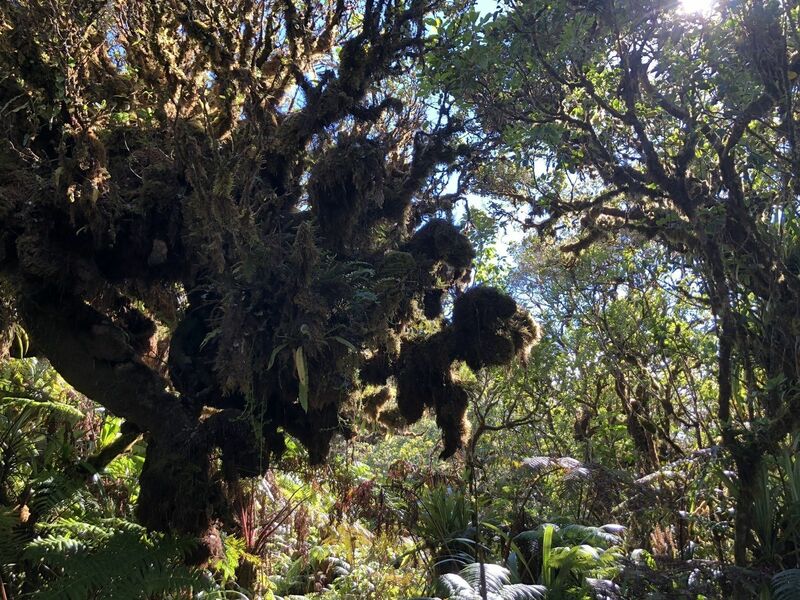 Over a mile of tenuous, overgrown boardwalk trails showcase natural Hawaiian flora, and the chance to experience a truly wondrous mountaintop bog. 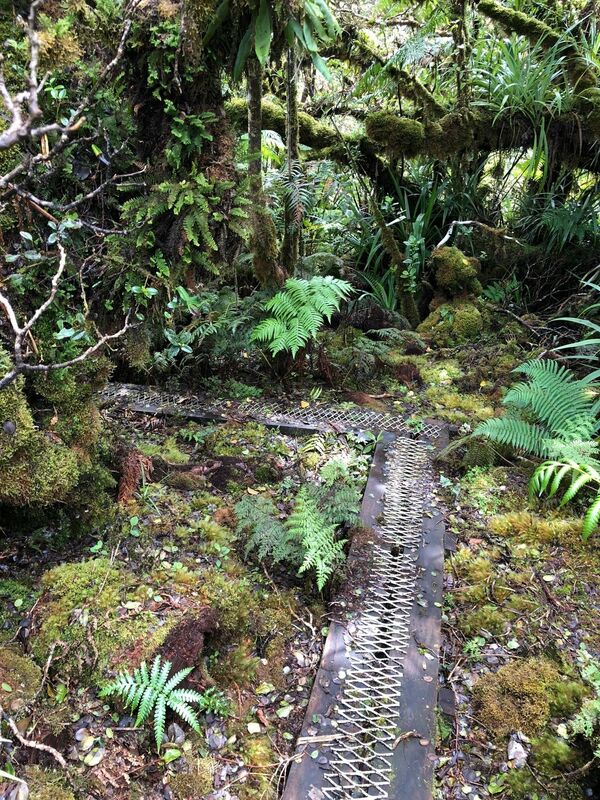 The boardwalk into the bog is a metal grid strip that supports better footing and helps from not destroying the native plants. 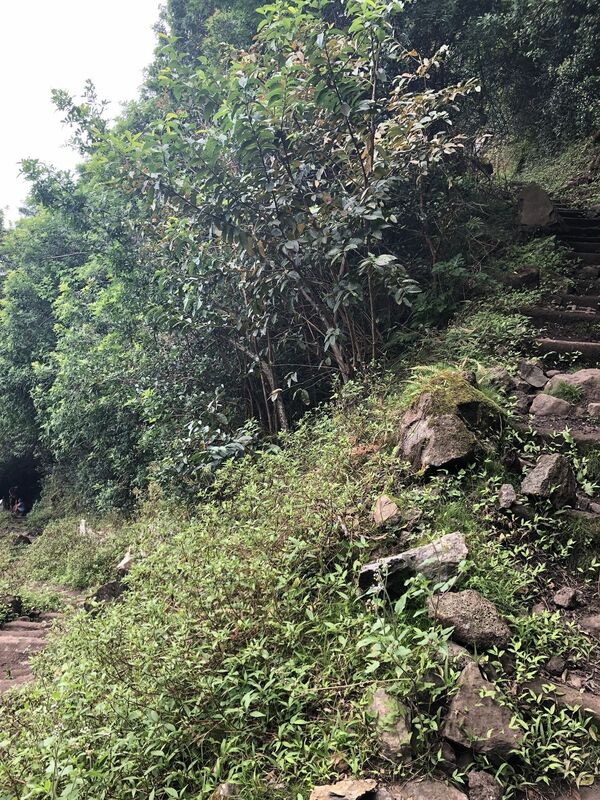 It traverses uphill through steep and narrow pathways. It requires some skill not to lose your balance and step into the bog. 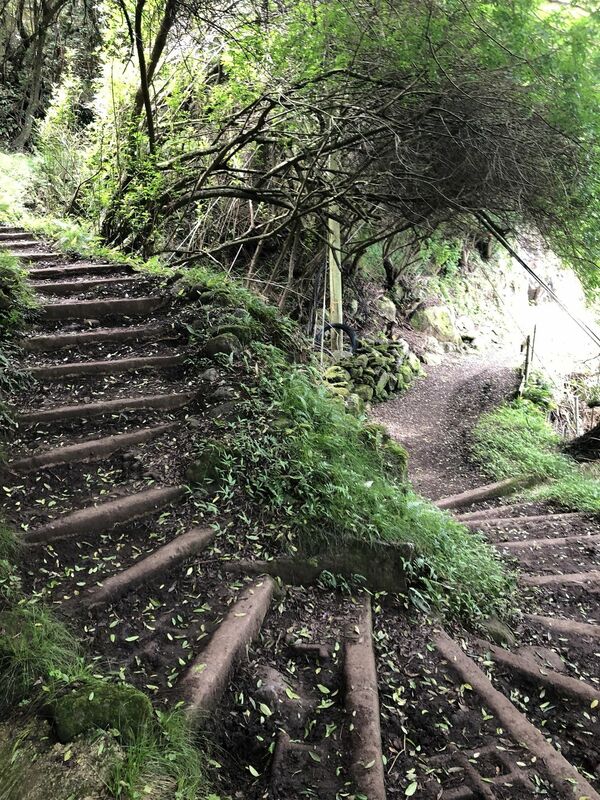 Take the guided cultal hike for an awesome and authentic experience like no other. The mule tour is fantastic! We could not have managed that hike on our own. The views are breathtaking.